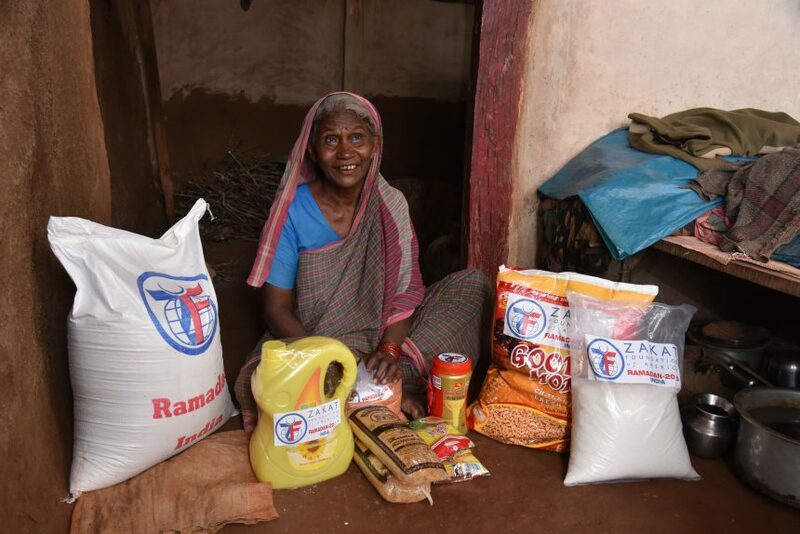 Help Zakat Foundation of America (ZF) feed as many people as possible this Ramadan. “Allah has said: Every act of a person is for himself, but fasting is for Me. That is why I will be its reward” [Sahih Bukhari]. The most blessed month of the year is nearly here. It is the time of heightened spirituality as we strive to draw closer to the Creator. It is a time of deep reflection as we turn to prayer and the infinite wisdom of the Quran, and a time of joyous family and community gatherings. Ramadan is also about sacrifice — not only giving up the pleasures of food and drink, but also opening our hearts and giving as much as we can to those in need. As Muslims, it is both a duty and privilege to help the hungry and oppressed. Every Ramadan season, Zakat Foundation of America (ZF) works to distribute food packages, prepare group dinners (iftar) and give vulnerable children new clothes that they can wear for Eid festivities. This is in addition to the emergency relief work and other active programs ZF does throughout the year. Please help ZF feed families around the world. One food package ($50) feeds a family of five for a month, and $3 can provide the hungry with a warm iftar (dinner). Kaffara and Fidya (donations made in Islam when a fast is broken) are $10 a day for the number of days you missed. ZF also accepts Zakat al-Fitr at the rate of $10 per person. ZF gives Eid gifts to orphans and needy children for $30 per gift, and gives livestock as a Eid gift for $220.